For just a few precious days I have nothing to write, nothing to grade and no Science Fair project to fund and document. I won't tell you where I went (hint: it rhymes with Trader Schmo's) but I can tell you it was quite an adventure. It was much more bare boned than I'd expected, with smaller aisles blocked by people apparently picking each other up while drooling over triple dipped chocolate cherries and the such. I bought a few things to cook spaghetti for dinner, and found it didn't cost more than Publix or Target, and the packages were an exciting break from the national brands that usually dominate my selections. Besides that, I bought this. I found it by a jar of swirls of chocolate and peanut butter, hanging out where nutella would have been at another store. 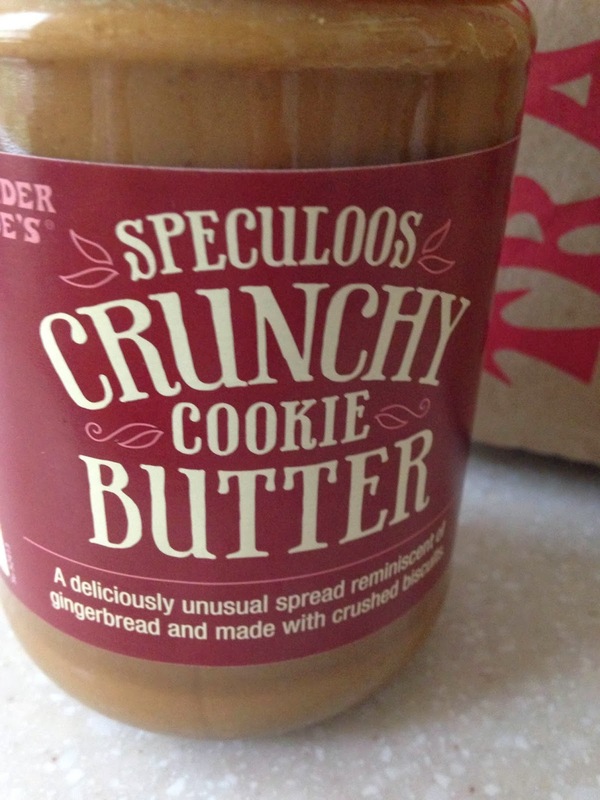 Cookie butter. My inner cookie monster roared with excitement. I brought it home and tried it with a spoon. It tastes like ground up sugarcookies, mixed with...sugar? and a little graham crackery flavor. 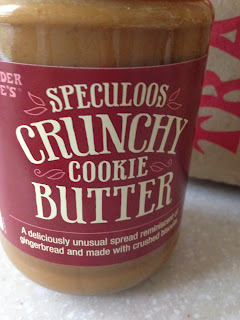 The advice printed on the jar of cookie butter says to spread it on toast, pancakes or waffles, but I strongly suggest that unless you have great life insurance you should stick to eating it with a spoon while quietly hoarding it from your loved ones.